APRIL Group Indonesia Operations Managing Director Tony Wenas was interviewed by business portal SWA on May 29, 2016. The following is an English translation of the article. Riau Andalan Pulp and Paper (RAPP) is one of the largest, most technologically advanced and efficient makers of pulp and paper products in the world. RAPP is a subsidiary of Asia Pacific Resources International Holdings Limited (APRIL). APRIL Group Managing Director Indonesia Operations and PT RAPP President Director Tony Wenas was named Best CEO (private sector) by Men’s Obsession Magazine earlier this year. The company has 5,500 employees working in the mills and more than 20,000 in the plantations. Established by Sukanto Tanoto in 1994 in Pangkalan Kerinci Riau, it has a total production capacity of 850,000 tonnes of paper per year. This year, its capacity will increase by 250,000 tonnes, totalling at 1.1 million tonnes per year. Seventy five percent of APRIL products are marketed internationally. PaperOne is available in more than 75 countries including: United States, China, Europe, Middle East, India, Africa, and more. Overall, PaperOne controls 10% of the global paper market and is the second largest player in Asia. So, what strategies is APRIL deploying to tackle global paper market competition? 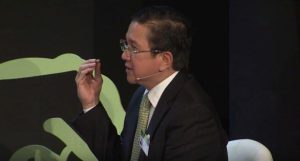 Below is SWA’s Aulia Dhetira interview with RAPP President Director Tony Wenas. Can you tell us briefly about the early days of APRIL? APRIL (Asia Pacific Resources International Holdings Limited) is owned by the Tanoto family. Their Indonesian operation arm is RAPP, which was established in 1994. At that time, there were only 200 households in Pangkalan Kerinci. Now, Pangkalan Kerinci has become the regency’s capital city, home to 150,000 people. In 22 years, our operations were the main economic driver for Pelalawan Regency and Riau Province. We have 5,500 employees working in our mills and 20,000 in the plantation forests. We are based in Riau, hence the name Riau Andalan Pulp and Paper. 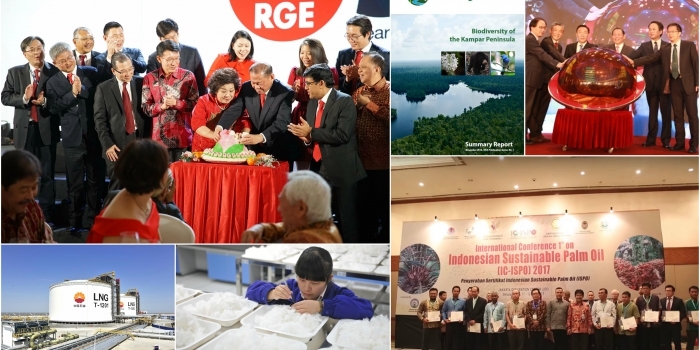 Our contribution to Riau’s provincial GDP is 6.9% for non-oil-and-gas industry – which is significant. 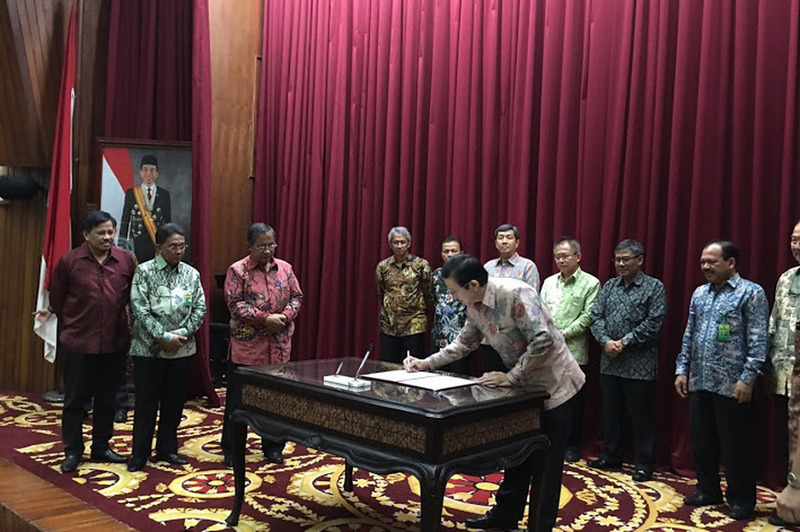 Our presence has a multiplier effect in Riau with the creation of 90,000 job opportunities. What can you tell us about PaperOne’s sales and market reach? PaperOne sales are 25% domestic, 75% exported. This makes PaperOne a global product, reaching markets in over 75 countries, including the United States, China, Europe, Middle East, India, Africa and more. 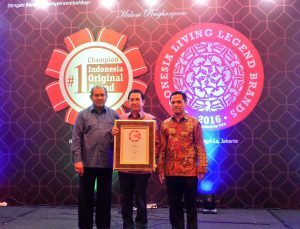 What is PaperOne’s position, both in Indonesia and global? There are only three major players of pulp and paper in Indonesia in terms of production, APRIL, Sinarmas (APP), and Tanjung Enim Lestari, while the rest are just paper mills. We are the world’s ninth largest producer for pulp, and sixth for paper. What’s the global competition like for pulp and paper? We have a lot of global competitors. One of them is Brazil. The United States, Japan, Chile, and Finland are the world’s major pulp and paper producers. Brazil has a similar climate as ours, but has larger forests. Brazil is the fourth largest country in the world and fifth in terms of population, while Indonesia is the other way around, fifth largest country in the world and fourth for population. We’re not saying that Brazil is Indonesia’s biggest competitor, they just happen to have a similar competitive advantage as we do. Both offer and produce the same quality of products, because pulp and paper requires raw materials from the forest and plantations. Plantation forests are renewable. In Indonesia, trees can grow quickly – in just 4.5 years. In the US, trees need 20 years to grow, while in Europe it’s 40 years, because they have four seasons. In those areas, trees can only grow in 2-3 months a year. Here, and also in Brazil, we have sunshine all year long. Mr Wenas discusses efforts taken against land and forest fires at JFCC 2015. 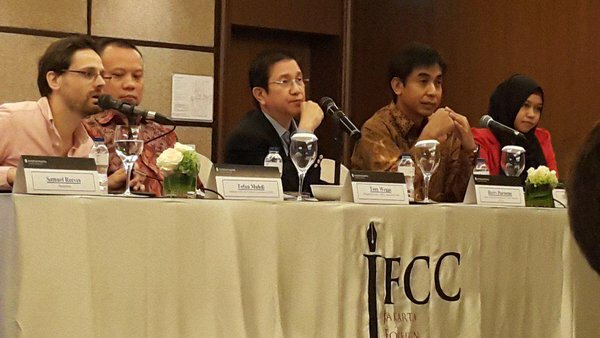 What are your strategies for global and Indonesian market? The global demand is getting more advanced, requiring products to be derived from sustainable production and practices. We have good sustainable programmes. We had a no-burn policy in place when we first started operations. 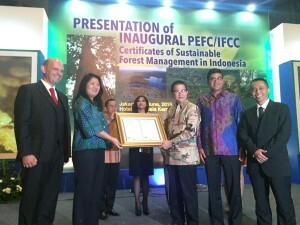 Now, we have the Sustainable Forest Management Policy, which helps us balance production and conservation. 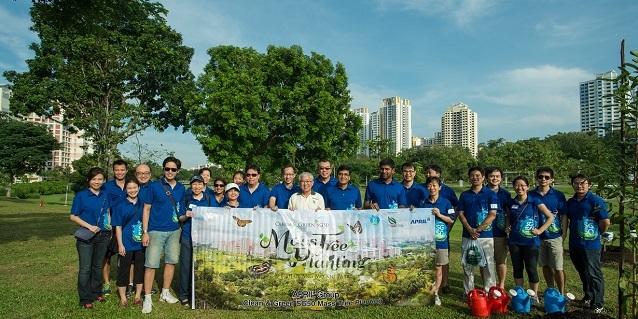 We have a one-for-one commitment, where we conserve and restore one hectare for each hectare of plantation forest. We have stopped harvesting mixed hardwoods, and moved to 100% plantation fibre supply. Our sustainability implementation and progress help attract global customers and increase our sales. As the market gets more informed and demanding, sales do not only depend on products’ quality and functionality, but also company and industrial practices – whether sustainable practices are in place in the supply chain. In producing our PaperOne products, we ensure that the highest international standards are met. Protecting the environment and replenishing natural resources are important tasks we undertake every step of the way. PaperOne has a range of premium quality home and office paper made from 100% renewable fibre and designed for the most demanding printing and copying tasks. Our NanoTechnology Prodigy Paper saves up to 18% of ink use as compared to other uncoated paper. Later this year, we’ll be able to produce High Grade Digital Paper that saves up to 30% of ink use. When did APRIL start moving towards efficiency? We have a good R&D team, from upstream to downstream. They constantly innovate and develop solutions for our products to meet various customer demands. We understand that today’s market demands efficient and advanced printing paper. Our High Grade Digital Paper is best for all printing purposes including high definition quality photos. APRIL received PEFC/IFCC certification in mid-2015. How effective are the efficiency efforts in driving more sales of PaperOne? Global PaperOne sales depend on a combination of factors: How sustainable and responsible our operations are, the traceable and renewable resources we use, product innovation and differentiation, and so on. Previously, our high quality paper only ranged by weight: 60g, 70g, 80g. But now with High Grade Digital Paper, customers have another quality option. Can you tell us more about benefits that APRIL has to offer, aside from its product quality? We strive for excellence in every aspect of the business. We practice sustainable forest management since 2004. It has been a long journey, which started with our no-burn policy, followed by conservation efforts, certification (e.g. PEFC), and our one-for-one commitment. This is a journey that we are most proud of, and it helps that we have products that are of high quality. The market trend is shifting towards digital and paperless. What is PaperOne’s strategy to maintain its market lead? Is there any new strategy/innovation, perhaps in pricing and/or marketing? Indeed, many are switching from print to digital. But we believe there is still use and demand for print and print-related products. Many still read newspapers. While some have iPads, there are many who continue to pen their thoughts into a notebook. Writing is still a dominant part of our lives. Additionally, as the global population increases – and we’re expected to reach 9 billion people in 2050; Indonesia’s population is expect to hit 350 million – we can expect demand for paper to increase. Those learning to write will need paper. So, you sound optimistic that digital will not be replacing paper? Digital may replace some functions of paper, but many will still use paper. We’re still expecting growth in this industry at 3%-4% per annum. 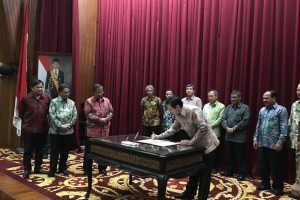 We’re now also building a third paper mill in Pangkalan Kerinci. This will increase our production capacity to an annual 250,000 tonnes of High Grade Digital Paper. PaperOne is a big brand in the market, what are your advertising strategies? We do conventional marketing and promotions. But our products are different. As they are more expensive, at about IDR 50,000 per ream, we directly engage our buyers and distributors. We don’t advertise on billboards in the streets. We make sure our customers are aware and informed that our products are renewable, sustainable and certified. We have certifications from PEFC, SVLK and PHPL. How do these certifications impact PaperOne in the global market? Very significantly. We want to be in this business for as long as possible, and our practices and products have to be sustainable. How does APRIL compete in the domestic market? Our paper is premium quality. Customers who use our products know we are different. You notice no smudging, colour wicking or other common problems. At the same time, the low abrasion on PaperOne products means the wear on the printer is reduced, prolonging its lifespan. The price might be slightly more expensive than the other products, but once customers notice the quality of PaperOne, they’ll know it’s the most efficient and most friendly one to digital printing equipment. Currently our products only vary in weight and size, but A4 sized paper remains the best-selling in the global and domestic market. We cover whole of Indonesia, from Sabang to Merauke. We are also in more than 75 countries; we’re actually almost reaching 85 countries. Unfortunately, we cannot disclose our distribution strategy. What is the annual growth percentage? We cannot disclose that too. But in general, Ministry of Industry projects annual pulp and paper industry growth to be about 3%-4%. Is PaperOne a market leader? 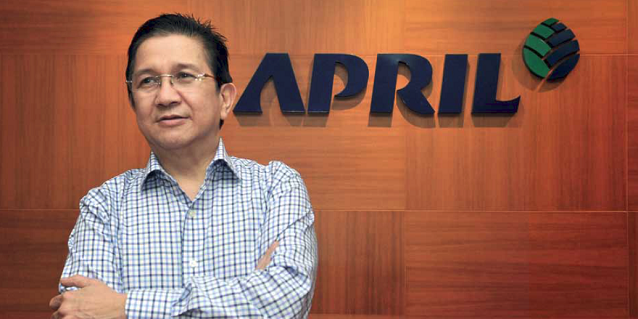 There are only two market leaders in Indonesia: Sinarmas (APP) and APRIL (RAPP). APRIL has the largest and most integrated paper mill complex in the world since 1994, but we are now second to Brazil. In Indonesia, APRIL has the largest integrated paper mill complex (1.750 ha) located in Pangkalan Kerinci, Pelalawan, Riau. Our mills are all in one location. We will focus more on the downstream as the third paper mill is being built. We have 10% in global market share for pulp and second in Asia for paper. In Indonesia, Sinarmas is bigger, but we are the best in terms of product quality. What about the 2015 business turnover? Our mill is capable of producing up to 850,000 tonnes of paper annually. Later this year, APRIL will be able produce 1.1 million tonnes per annum. We don’t only sell paper of various sizes, but also in rolls. We cannot disclose the numbers, but you may make your calculations.